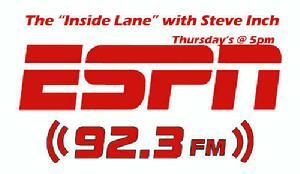 "The Inside Lane" hosted by Pennsylvania race track announcer Steve Inch and radio personality Todd “The Hoss” Steward premiered on Thursday, May 1, 2014. The one-hour talk show is slated to air every Thursday at 5 p.m. (EST) during the local racing season on ESPN 92.3 FM and 923ESPN.com. It will also stream live on 923ESPN.com. The show will cover the world of auto racing on the local and national scenes, preview upcoming events at area speedways, and feature interviews with special guests. Previous season guest lists are shown below and include many legends of motorsports. Inch is the track announcer and publicity director at Pennsylvania’s Selinsgrove Speedway. 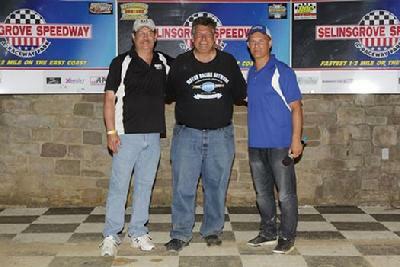 During his motorsports career, he has also announced races at Silver Spring, Penn National, Williams Grove, Lincoln, Big Diamond, Clinton County, and Hagerstown Speedways. He was a motorsports features contributing editor for “Trackside” magazine. Steward has 35 years of experience in the radio industry and can be heard on B98.3 and ESPN 92.3. For 10 years, Steward was a member of the Watkins Glen race broadcast team and had the opportunity to broadcast live from the NASCAR Hall of Fame Induction Ceremony in Charlotte, N.C.